My second moon hoax debate, my first was a bit of a fail, given that my opponent gave no evidence or anything- http://www.debate.org... . So anyone that can actually do good, please accept. Assuming the first round is just for Accepting the challenge.... I shall accept it and prove to you that the moon landing was in fact A Giant hoax. Thanks for accepting, you look like a worthy opponent. KSP is also my favorite game :D.
Rules: Please be logical and reasonable, and we will use the innocent until proven guilty method with the footage. Also, no swearing or name calling. Thank you. Questions: Why didn't the Soviets say the moon landings were faked? Numerous countries, including the Soviets, tracked the flight, along with lots of other astronomers. What reason would the US have to fake the landings? By the way, what did you think of my other debate with changb? Okay then... my questions still stand. Please do not forfeit though dude, it makes arguments very lame. Why didn't the Soviets say the moon landings were faked? Numerous countries, including the Soviets, tracked the flight, along with lots of other astronomers. A. Information was falsified by agents working for the us with the tracking data. B. They lied about tracking the data but didn't want to start a big argument. To Beat the Soviets in the space race. It was a big deal between the two countries for the US to beat the soviets to the moon. It would suggest multiple lighting sources. This could very well be from stage lighting aiming in different directions. We have a rock which looks like it has a letter c inscribed on it. This could be from a prop company labeling a rock to take a picture of. But forgetting to place the c downward. Which NASA claims to have miles apart with the exact same background. Sorry, I accidentally cut of one of my arguments: Why did the US go back to the moon 6 other times? As you know, the Saturn-V costs lots of money, I think in the millions, but I don't know for sure. Rebuttal 1: Your first picture which supposedly shows two light sources is not valid. Think about it, if there were two light sources acting upon the rocks and the LEM, then there would be TWO shadows, not just one. Think about it, if you're in a gym with those big lights, you have multiple shadows, not just one. 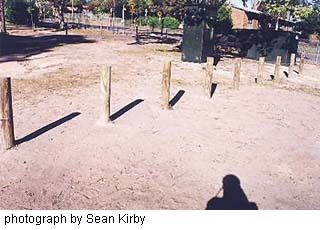 As shown is this photo, http://www.braeunig.us... you can see the shadows pointing in different directions, yet there is one light source. There are slopes that mess with the angles that you see the shadows. Rebuttal 2: The picture is not the original picture, and likely had a coiled hair in the shape of a C on it. Rebuttal 3: Those are infact the same mountains, the NASA person was at fault. Those pictures were taken within minutes of each other. Debates are supposed to have aou have be resolution. Always provide a resolution. It would be best to go Pro on "The US accomplished a moon landing." If Con, then "The moon landing was faked." The evidence that it occurred includes the undeniable fact that all the equipment capable of going to the moon was built. Many thousands of people working at thousands of companies designed and built the equipment for the purpose. If it were a hoax, many people would know that the components did not function as claimed, and it would be impossible to keep it a secret. The Mafia and al Qaeda cannot keep secrets, and they are run by fanatics. The scientific data collected on the moon missions was later confirmed by other space probes, including those of the Russians. The astronautic left prism corner reflectors on the surface. These enable finding the distance to the moon precisely by laser ranging. Anyone can verify that the reflectors are there by lasing them. Faking all the telemetry data would cost more than actually running the mission. if the u.s regime actually landed on the moon, they should be the ones providing evidence, but based on common sense, the u.s regime didnt land on the moon. thats why they havent been back after all these years. the u.s regime lies so much on all kinds of subjects that you cant believe a word they say.